Almost half refuse to stay in a six to eight-bedded rooms. Deciding to move their elders into a residential aged care home is one thing that most Singaporeans are caught unprepared for, a new survey show. 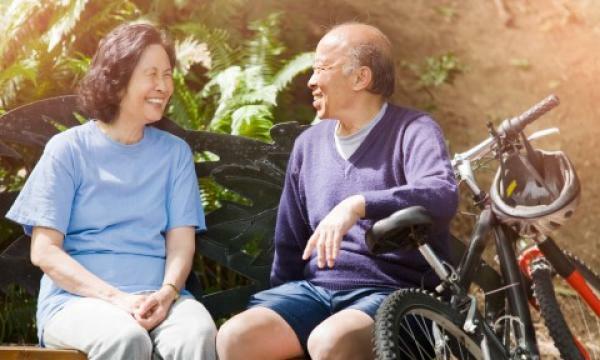 But while it often involves an emotional time where there may be some uncertainty about the future, the study also found that Singaporeans have major considerations and expectations with regards to the services that aged care homes provide. Based on a study conducted by NTUC Income and the Lien Foundation which surveyed 998 respondents between 30 and 75 years old in Singapore, while one in two respondents were willing to stay in a nursing home themselves, they were less prepared to send a family member to one. Nearly one in three were strongly against it. But for those seriously considering of moving into an aged care home, well-trained healthcare professionals were listed as the most important criteria for home-care services, with older respondents (45-75 years old) expressing the need for doctors who could make home visits and care assistants that were trained in eldercare as the next most important factors. Respondents also expected facilities at elderly day-care centres to be well maintained and clean, conveniently located (in every residential estate) and to provide well-trained staff. They also expected activities, therapy sessions, healthy food and training to be provided to caregivers of the aged. Nursing homes expectations mirrored those cited for elderly day-care centres, with seniors (60-75 years old) expecting homes to have adequate numbers of well-trained staff that can provide personal attention to residents. Privacy featured high in the expectations of Singaporeans. For respondents willing to stay in assisted-living facilities, 90% of them preferred single or twin-bedded rooms. With regard to nursing homes, 60% of them agreed that residents should stay in single or twin-bedded rooms rather than six to eight-bedded wards. Close to half of the respondents indicated that it was unacceptable to stay in six to eight-bedded rooms for the rest of their lives. For the younger set aged 30-44 years old, their wish for privacy in nursing homes emerged as the second most important consideration. When considering quality of life rendered by aged care services, respondents differed in their expectations. Compared to the young who prioritised privacy, those aged 45-59 years old cited mentally engaging activities and counselling for both the aged and their caregivers as crucial. Seniors aged 60-75 years old desired most for healthy food and therapy sessions. “We have to honestly question what is being built right now and if these facilities meet the aspirations of tomorrow? Are our aged care solutions future-centric and sustainable? This is the time to be open to innovative options and to explore different possibilities so that Singaporeans’ aspirations in their old age can be realised,” he added. Against this backdrop, the study also surveyed respondents on the concept of assisted-living facilities, which are defined as a housing alternative for seniors who do not require intensive medical and nursing care as provided in nursing homes. Amongst those surveyed, close to half (47%) were willing to stay in assisted-living facilities, with those below 60 years indicating a preference for a shared room with their spouses while seniors preferred to share a room with a roommate. Those aged 30-44 years old were willing to pay the highest for assisted-living facilities at $1,745, with the seniors being the least willing. Respondents also expected assisted-living facilities to provide preventive screening and health checks, personalised choices for food and activities, open spaces and gardens as well as mentally-engaging activities for the elderly.